Home » LOOKING FOR A VAN? Welcome to National Van Finder, the original van finding service. 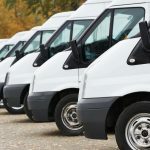 If you’re looking for a van, we’ll take the hassle away from you and provide you with a good quality, reliable and hard working van straight to your door. All you have to do is tell us what sort of van (or car) you are looking for and your budget, and our team will go out and find the perfect van to meet your needs. It’s as simple as that. If you’re unsure of what you want, a quick chat with one of the team will give us an idea of what would suit you and we’ll provide you with several options that we know you’ll love. 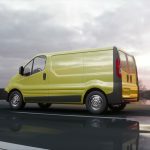 We will provide photos of the van, inside and out, so you can see what it’s like, and other details such as mileage, number of previous owners etc. If you like what you see, we will then purchase the van for you, get our mechanics to make sure it’s in perfect working order and deliver straight to your door. All within two weeks, and often quicker! Not only this, but all vehicles come with a 6 month warranty, so you have peace of mind and can focus on your business. I consent to National Van Finder collecting my details through this form. Another van delivered to Coventry! Happy Motoring Will!